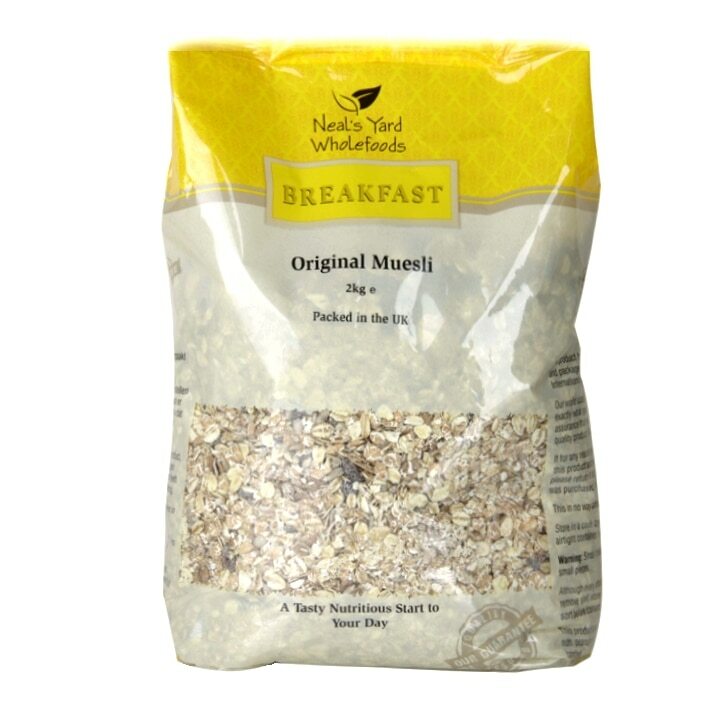 Holland & Barrett Muesli Fruit & Nut Original is rated 4.4 out of 5 by 66. Rated 3 out of 5 by Dinsdale2 from Not 'original', now 'new and improved' :( I've been buying H&B 'original' muesli for many years. The current product is sold under the same title but has a different taste, dominated by crunchy bran flakes. It's a move in the wrong direction. New but not improved. Rated 2 out of 5 by JAN70 from Improved? Having enjoyed this muesli for many years, I was disappointment to see that it was “new and improved”. This new version is just not as nice and has a crunchy texture that does not soften by adding milk. Rated 2 out of 5 by Jesser from New improved recipe? Not so keen on the new recipe.The improvement seems to be upping the toasted wheat flake content. Cheaper? I’ve always cut with base mix but may have to up the amount if I can’t find a better muesli elsewhere. Rated 2 out of 5 by paulrT from Very Disappointing! I haver bought H&B Original Muesli for many years. It has now changed is very different. The number of nuts and amount of fruit has reduced significantly and the consistency is completely different. I will have to look elsewhere in future. A great shame.